The legal team here at Gary A. Zucker & Associates, P.C. has helped countless injury victims and their loved ones in the greater Brooklyn area. This is particularly important for auto accidents involving large vehicles and commercial trucks. Even though large trucks themselves can prove quite dangerous to others on the road, the cargo that trucks carry can be a hazard on their own. When cargo falls from a truck, it can strike a motor vehicle, lead to road hazards, or cause other kinds of serious problems for drivers and pedestrians. 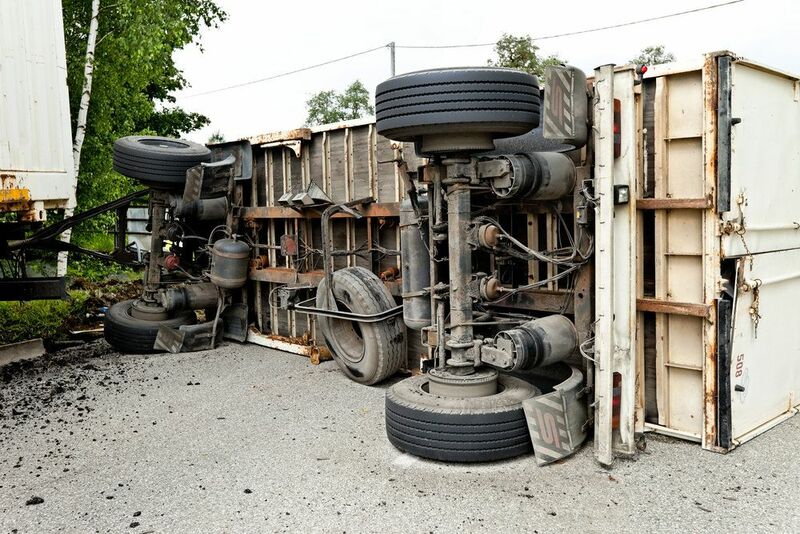 These situations we go into in more detail below, and keep in mind why it's so important to be cautious around large commercial vehicles that are hauling major loads. If a truck is carrying large items such as mattresses, boxes, large tanks, and containers, these items may wind up on the road and create serious hazards to those who are driving. Motorists may try to swerve around these obstructions, leading to collisions with other vehicles nearby, or motorists may wind up hitting these obstructions and losing control of their vehicle in the process. Even small items can be dangerous. If rocks, sand, or particulate matter winds up on the road, it can make stability and control of your vehicle far more difficult. It doesn't just need to be solid objects on the road that cause major hazards. When liquids wind up on roadways, a number of hazards are present as well. Any liquid that gets on a dry road can lead to issues with traction and make the loss of vehicle control more likely. In addition, large volumes of liquid that pool or accumulate can increase the risk of making vehicles hydroplane. Maybe the most dangerous thing that can occur is having the cargo of a large truck fall directly onto an adjacent vehicle. This is especially deadly when the large truck is hauling other vehicles, industrial equipment, lumber, furniture, and so on. It's possible for these items to do significant harm because of their size and weight. Truck drivers and trucking companies should make sure that their vehicles are properly loaded and never overloaded. It's also of the utmost importance that all items are firmly secured, and that drivers follow all rules of the road in order to avoid instances in which items may be jarred from secure positions. If you are driving and notice a large truck hauling major loads, do you best to give the large truck space. Stay outside of the large truck's blind spots so the driver is aware of your position relative to the truck. Simply by following traffic rules and using common sense, you can avoid a number of major hazards. For more information about your legal options following a serious truck accident, be sure to contact our personal injury law firm today. The lawyers here at Gary A. Zucker & Associates, P.C. look forward to meeting you in person and helping you in your time of legal need.